Monofilament is the line I grew up fishing with. Braid was new on the market when I first got into fishing and fluorocarbon wasn't even around yet. Monofilament, the most economical of the three, is a Jack-of-all-trades line, and master of none, in my opinion. It is the most user friendly, and the line I recommend new fisherman to start out with. Monofilament has a lot of stretch, therefore offers a lot of forgiveness. It's also probably the easiest line to tie a knot with. Monofilament floats on the surface, which does yield some pros and cons, depending on the technique used. Though less visible in the water column than braid, monofilament is more visible than fluorocarbon. It also has the largest diameter of the three lines types, when strength ratings are compared. 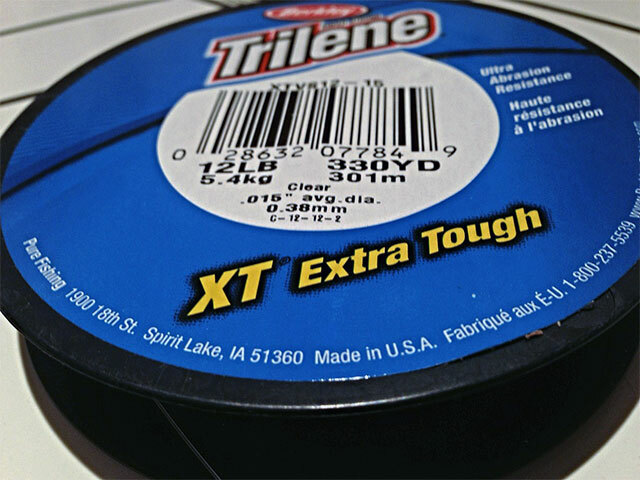 While mono has more line memory than braid, it generally has less than fluorocarbon. I like to use it on several of my spinning set-ups because of its versatility. I also like using mono when I'm fishing crankbaits. This is a personal preference; I believe the extra stretch makes it less likely to rip the crankbait out of fish‘s mouth. So, if you're a new angler, I recommend trying monofilament out first. If you’re a veteran angler, dust off our boxes of monofilament because there are still several applications where it excels.